On December 24, 1968, Apollo 8 Commander Frank Borman and crew members William A. Anders and James A. Lovell, Jr., became the first humans to leave Earth orbit, entering lunar orbit on Christmas Eve. 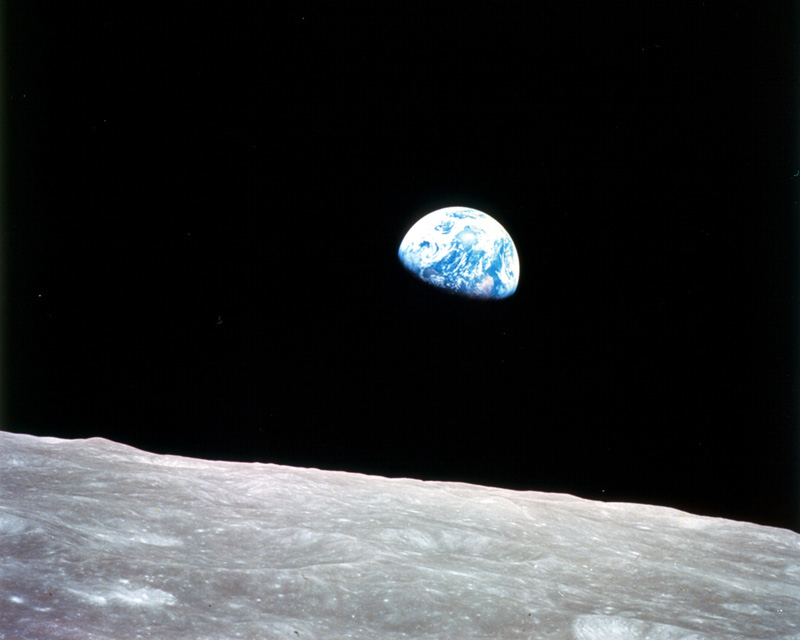 That same day they became the first to photograph the Earth “rising” over the moon. Now, the rest of us can see what it was like. This NASA visualization draws on richly detailed maps of the moon’s surface made from data gathered by NASA’s Lunar Reconnaissance Orbiter. Posted in Big Picture, Photography, Videos | tagged astronomy, Earth, Earth from Space, historic moment, historic photograph, history, lunar, moon, planets, science, space. The permalink.